The 8th India Alliance Annual Fellows’ Meeting was held from 17th to 19th May in New Delhi. 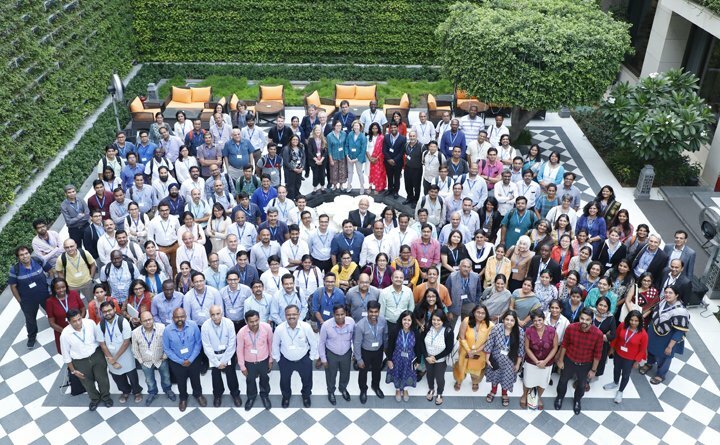 This annual event of the Wellcome Trust/DBT India Alliance saw the confluence of Fellows from across different stages of their fellowships and a wide range of research areas. While Fellows in later stages of their funded tenure presented their findings in scientific talks and poster sessions, newly funded fellows presented their research goals and plans. Apart from the scientific proceedings, the meeting was peppered with informative sessions and talks on mentorship, research management, open research, scientific publishing, collaboration in the sciences, grassroots scientific innovations and research funding programs available for Indian biomedical researchers. Like in the previous year, the meeting also saw participation of African biomedical researchers, grantees of the Developing Excellence in Leadership, Training and Science (DELTAS) Africa. This year marks 10 years of the presence of India Alliance as a one-of-its-kind biomedical research funding organisation in the country. The India Alliance fellowships are provided by an equal partnership between the Wellcome Trust, UK, and the Department of Biotechnology (DBT), Govt. of India, and support basic biomedical research as well as clinical and public health research. The fellowships are awarded to researchers at different stages of their careers viz. early career, intermediate and senior. Currently funded areas include cell signalling, stem cell biology, community health , epidemiology, bioengineering and nanotoxicology amongst many others. The India Alliance is also involved in public outreach programmes promoting science communication and encouraging collaboration with the arts. The opening session of the meeting saw an address by Renu Swarup, Secretary, DBT, Govt. of India, followed by presentation of the India Alliance report by its CEO, Shahid Jameel. After an informative talk on ‘What a mentor is, and is not’ by Mike Turner, Wellcome Trust, UK, a comprehensive account of the various schemes of the Department of Biotechnology was presented by Shailja Gupta, International Cooperation, DBT, Govt. of India. This meeting also served as a platform for the formal launch of the new brand (logo and website) of India Alliance by K. VijayRaghavan, Principal Scientific Adviser to the Govt. of India. In his address, VijayRaghavan emphasised on the need for appreciation of the history of Indian science and contribution of science to society. He also talked about the importance of investing in fundamental science research, promoting private-public partnerships, and harnessing the potential of the Indian diaspora. An Art and Science publication conceived by Khoj International Artists’ Association (Khoj) and supported by India Alliance was also launched in the meeting. Pooja Sood, Director of Khoj, talked about the common underlying spirit of inquiry in science and arts.“Our rule in contemporary Asian arts has been that of asking questions, and then seeking answers,” she said. “We are all in the creative industries. We all start with a happy guess,” said Turner, reiterating Sood’s spirit while talking about the book. This year’s keynote lecture was delivered by Anil K Gupta from IIM, Ahmedabad who’s the founder of Honey Bee Network, an organisation promoting grassroots innovation in India. Gupta focused on the need for empathy-driven innovation, and the importance of sharing one’s research for the greater good. “We do not solve a lot of problems due to our heightened sense of resilience,” he said, imploring the audience to let intrigue drive creativity and their research. 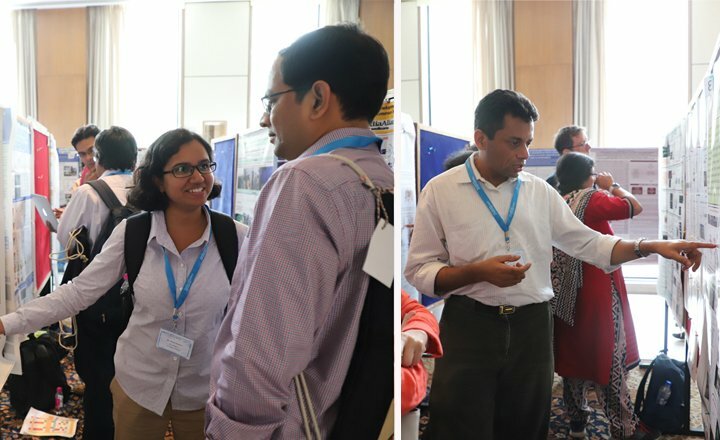 After the first two days dominated by scientific talks and poster presentations by the Fellows, the third day allowed for informative talks and sharing of experience on broader areas such as research management and policy-making. The day was opened by Savita Ayyar from Jaquaranda Tree Consulting, Bengaluru, talking about the India Research Management Initiative (IRMI), whose pilot phase was launched in February this year. Michael Markie of F1000 and Wellcome Open Research, UK, talked about the open research publishing process and funder-based publishing platforms. India Alliance launched its publishing gateway on Wellcome Open Research earlier this year. A talk on ‘Collaboration Across Sciences’ by Joao de Rangel Almeida, Wellcome Trust, UK, was followed by a film screening on the growing epidemic of superbugs and antibiotic resistance, developed by Longitude Prize, UK, and a talk on the Antimicrobial Resistance (AMR) Crisis in India by Manish Diwan from BIRAC. Longitude Prize has partnered with BIRAC to fund cheap, sensitive, point-of-care diagnostics for AMR in India. An interesting feature of the third day’s proceedings was a panel discussion on the grind that research evidence needs to go through before becoming a part of public policy. Anura Kurpad, India Alliance Margdarshi Fellow at SJRI, Bengaluru, Gagandeep Kang of THSTI, Faridabad, India Alliance Fellows, NS Prasanth of IPH, Bengaluru, Anita Nath of IIPH, Bengaluru campus, and Vivekananda Jha of the George Institute of Global Health, New Delhi, each shared their experience of seeing a research finding drive a policy change, and recounted the practical hurdles they faced during this translation. The next panel discussion comprised of journal editors from Journal of Cell Science, PLoS Medicine, BMC Biology, The Lancet Global Health and BMJ Innovations, who talked about their respective journals’ publishing policies and how they strive to be researcher-friendly. This was followed by an open session for informal talk with the Fellows. The meeting was wrapped up with Shahid Jameel, CEO of the India Alliance, addressing the Fellows, where he announced new programs of India Alliance and plans for commemorating 10 years of India Alliance in November this year.